Click on your state for all details about the legal situation. In case you are interested in a specific state, including the regulation, just click on the map. Otherwise, here is short wrap up about the history of US fantasy sport. US Fantasy Sports dominate modern culture, as they give people the chance to get more involved in the sports they know and love, by using a game format. With over 42 million players throughout America and Canada in 2014 alone, it has seen a meteoric rise since its inception, and looks set to continue to build. Also known as roto, rotisserie or owner simulation, it allows players to form their own fantasy “teams” that play against other fantasy owners in leagues and tournaments. The teams consist of real life teams or real individual players, who fantasy owners pick out based on their generated statistics. Fantasy Sports Reviews The best place to play! Not always is it agreed when fantasy sports truly began, as baseball fantasy players contend with football fantasy players about the true beginnings. However, the inception of fantasy sports is indicated first at the end of World War II, though it wasn’t put into effect as a formal business or widespread hobby at the time. Wilfred “Bill” Winkenbach put into play the first fantasy golf game, whereby players generated their teams and the winner would be the person with the lowest combined total of strokes by the tournament’s end. However, this wasn’t the only sport to show an inclination towards forming fantasy games and leagues. Rosters were formed that earned points for a players’ final standing in batting average, wins, RBI, and ERA by 1960, courtesy of William Gamson, for baseball also. Come 1962, the Greater Oakland Professional Pigskin Prognosticators League was formed, leading to the first ever fantasy football selection: George Blanda – quarterbacker for the Oakland Raiders. 1969 marks a historic occasion in fantasy sports when the original founder of the Greater Oakland Professional Pigskin Prognosticators League, Andy Mousalimas, brings about the first public fantasy league. This sparked what is now an ongoing craze, which now engages millions, leading to 14% of all Americans having been in touch with a fantasy sports league in some way. La Rotisserie Française. The name is synonymous with fantasy league baseball, and with good reason. In the 1980s journalists frequenting the aforementioned restaurant, in particular one Daniel Orkent, came up with the Rotisserie scoring system for fantasy baseball. Major League players would be studied for their stats in the current season, and fantasy owners would use the players’ performance in order to compile their teams’ scores. In other words, the owners had to make predictions about a players expected performance, health, playing time, etc based on the current season, not just from statistics for seasons where the outcomes were already known. This brought fantasy owners as close as possible to the real decisions a real team manager would make. By the time the 1981 baseball strike hit, the sports journalists had enough to write about with the fantasy baseball leagues, which baseball fans grabbed onto like a life ring. Enter the internet. With more information, easy access, and fast connection to other players, fantasy sports hit the internet with a mighty explosion, sending the number of “owners” sky-rocketing. And the big fish were not far behind, as the need for businesses to cash in on fantasy sport continued to grow. In the mid-nineties, website commissioner.com made their debut into the world of fantasy sports, changing the face of it forever. It offered a whole host of services to excited fantasy baseball players – daily updated box scores, real-time stats, league message boards, and much more. Then came RotoNews, who also joined in the fray in 1997. With a searchable, real-time database, it enabled people to look up items of great significance to fantasy sports players through the use of a “player note”, which would come to greatly affect how people chose to build their teams. This innovative system involved quick news on whether a player had just been traded or benched; whether a player’s value had increased or decreased; or if a player had suddenly gotten hurt – all things that could dramatically choose a fantasy owner’s choices. Yahoo bucked the trend in 1999 by inviting everyone to play fantasy sports without charge. This was unheard of at the time, but it helped grow interest in the game exponentially. Nowadays, many people use the free platforms; however, there are premium sites where you can pay to gain many extra features. Also in 1999 the FSTA – the Fantasy Sports Trade Association – came into being. With an ever-expanding network of fantasy sports players, websites, and more, there came the need to have some kind of governing body. The year previous saw a meeting between The Sporting News, E.A Sports, CDM, Fantasy Insights, and USFANS, which spurred an official organization, used to help promote legislative issues. So, in 1999, the newly formed FSTA held its first official conference and has been in operation ever since. Perhaps one of the shakiest yet most influential moments in fantasy sports history came in 2006. A huge federal legislative change loomed over the head of the industry, as the bill for the Unlawful Internet Gambling Enforcement Act came to bear. What this meant for fantasy sport was the possibility that it would be outlawed in the United States. If determined to be a gambling game of chance, the industry would suffer a fatal blow. Lucky for the millions of fantasy sport owners out there, it was finally determined that fantasy sports was a game of skill, not chance, and thus it remained legal, and open to millions of more players to get involved. In the same year, daily draft games started being offered by a variety of operators, meaning the sport had evolved to a new level. The concept worked with the same basic premise of original fantasy sports, but with one main exception – instead of playing through a whole season, players could enter contests that lasted just a single day. This quicker, more numbers-driven version made an exciting extension to this already thrilling field. The future looks big and bright for US Fantasy Sports. If the history of the DFS industry is anything to go by, it can be assured of continuous growth and further branching into new and untapped areas. For example, in recent years, the popularity of cricket in countries such as India has boosted this niche in the fantasy sports industry, and now some of the existing players in the fantasy cricket domains offer a ‘Cricket Stock Exchange'. Whether or not these games will segue into the US mainstream also is yet to be seen. But what can be seen is that Fantasy Sports will grow and evolve every step of the way. As with everything, only time will tell which areas of this game will bloom and which will fall to the wayside. However, US fantasy sports players can rest assured that this is an industry that will be around for a very long time indeed. A total of 15% American adults have been reported to regularly participate in fantasy sports. With the growing popularity, the authorities have been trying tirelessly to establish regulations surrounding this popular form of gaming activity and provide consumer protection to their millions of users. 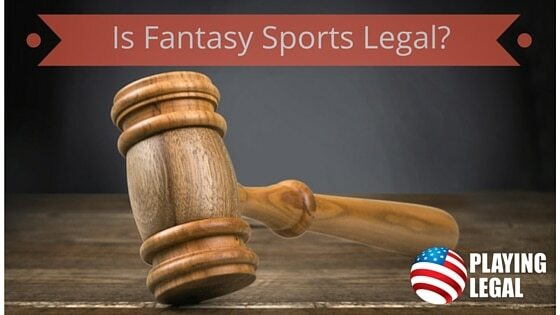 The ever changing status of legality and continuous legislative developments in the area of daily fantasy sports (DFS) can be seen littered all over the news and keep the players in a flux of ambiguity. This however, does not exempt the consumers from paying their tax contributions against their fantasy sports earnings but it definitely does make it much harder to understand the calculations and procedure for filing taxes. Some DFS players mistakenly believe that their winnings are only taxable if and when the operating site issues a tax form for them. While on many occasions the DFS sites do indeed issue the tax form for the players, it is the responsibility of the individual gamer to report and pay taxes on winnings in a timely fashion. The Tax Form 1099-MISC – Miscellaneous Income, is used to pay taxes on royalties and incomes above $600 from sources other than one’s regular employment. If a player clocks net profits of $600 or more on FanDuel matches, over the course of a calendar year, the site issues a 1099-MISC form for their use. FanDuel calculates net profit by adding all prize winnings, bonuses and FanDuel Points, which can be accumulated and later used in real money games, and taking away all entry fees paid to the operator (Net profit = Prize Winnings – Entry Fees + Bonuses + FDP Entries). Not all sites use the same formula; even the Internal Revenue Services (IRS) takes the position that entry fees paid on losing matches should be excluded when calculating the tax amount owed. Although there are no definitive instructions surrounding DFS taxation, a Private Letter Ruling, PLR-154316-03, issued by the IRS, in 2005, which although only accounts for one specific case, indicates their probable position on DFS taxation. Therefore, it is important for players to be educated in the different formulas sites may use and fill out the tax form accordingly. The Tax form 1099-K – Payment Card and Third Party Network Transactions, is an IRS return form that is used to facilitate better voluntary tax compliance. Unlike the 1099-MISC form, the 1099-K is issued not by the DFS operator but the credit card or third-party merchants, such as Paypal. The form is issued either when the player earns in excess of $20,000 or when they make more than 200 withdrawals from their account. Two potential complications can arise with the way these forms are issued; when an individual earns in excess of the $20,000 threshold, or, more likely, make more than 200 withdrawals within the period on one year, the DFS site may issue the 1099-MISC form alongside Paypal issuing the 1099-K against the same income, the IRS then erroneously records the individual’s income to be double that of the actual net earnings, resulting in the inconvenience of having to resolve the issue with the IRS. In another scenario, a person who receives their DFS winning alongside other incomes through their Paypal account, may easily qualify for a 1099-K, however, the third party merchant will not discriminate between the different sources of income, making is difficult to identify and segregate the amount earned through DFS. Is Daily Fantasy Sports a Gambling or Not? It has been established that fantasy sports players have to pay their taxes whether the operator issues a tax form for them or not. It should also be noted that whether or not DFS is considered a gambling activity or not in a state does not exempt the player from paying taxes on his winning, but it does mean that he has to observe a different set of rules when filing his taxes. Is Daily Fantasy Sports a Gambling Activity? There is much ongoing debate about the lawful status of DFS. The IRS is yet to make a comment confirming their position on DFS for taxation purposes; matches on some sites resemble gambling activity more closely than others, so, it is useful to know the difference in taxation laws for each scenario. Whether DFS is considered gambling or not, taxes on all winning are paid using Form 1040 – U.S. Individual Income Tax Return, and DFS earning are reported on Line 21 – other income. If DFS is considered a non-gambling activity, any money earned through the sport falls under the hobby rule in the tax code. The hobby rule can be applied to an activity, depending on the time and effort the taxpayer dedicates to it and whether a clear plan for making profits is involved. Losses incurred from DFS participation, if allowed, should be reported on Schedule A (Form 1040) – Itemized Deduction, listed on Line 23 – Other Expenses. However, not all expenses sustained can be deducted for taxation purposes. “Ordinary and Necessary” expenses in connection with the sport, such as NFL Sunday Tickets and website subscriptions may be deducted but only from the DFS winnings and only when it is more than 2% of the individual’s adjusted gross income. Whatever the scenario, the responsibility to clearly account for the expenses relies solely on the taxpayer. When DFS is considered a gambling activity, the player must record and report each “winning session” and each “losing session” individually; winning sessions are reported on line 21 – Other Income of Form 1040 while losing sessions have to be recorded on Line 28 – other deductions of Schedule A (Form 1040) – Itemized Deduction. However, there are no guidelines on what constitutes to a “session” provided by the IRS or the tax code; extrapolating from an example of a U.S. Tax Court case, where the proceeds from a single day of gambling was defined as a “session”, we can assume that DFS gameplay from one day would be classified as a session. According to Publication 529 – Miscellaneous Deductions For use in preparing 2015 Returns, the IRS advises the taxpayer to keep accurate records of the name and address of gaming establishments used, date and exact type of wagering activity, net winnings or loss and names of other people present at the time of the event, to ensure correct tax amount is paid. Many DFS sites offer players the facility to extract transaction history but this can prove risky as any inaccuracies are the taxpayers’ responsibility to explain to the IRS and not the gaming operators’. It is also important to note that when DFS is titled a gambling activity, the loses are no longer subject to the 2% rule; the players can deduct losses no matter how small the amount, unless the gamer is resident in one of the many states that do not allow gambling losses to be deducted at all. While most players pursue DFS as a hobby or as an amateur, some players can be classifies as professional fantasy sportsmen. 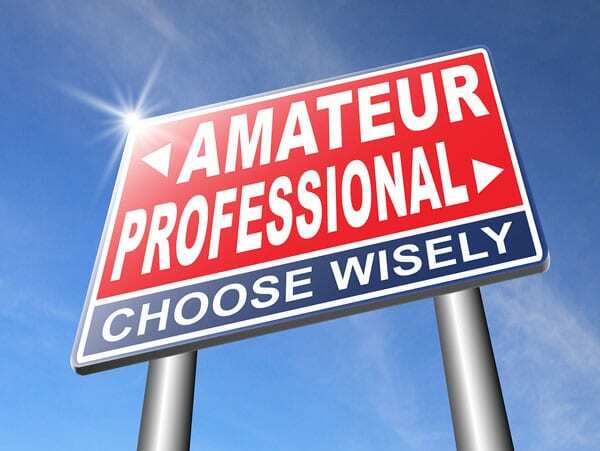 The process of filing taxes as a professional does vary quite a lot from their amateur peers’. As DFS has not been classified as gambling or not in most U.S. states, it is difficult to determine professional status for a player. However.as the taxpayer is responsible for filing the correct tax; it would only makes sense to assess each player, lost in the grey area, on an individual basis by a tax professional. A professional DFS player has to file their income, as a business, using Schedule C (Form 1040) – Profit or Loss From Business (Sole Proprietorship). The net income reported is subject to an additional self-employment tax, of 15.3%, which is the Social Security and Medicare tax, on top of any income payable tax. Social Security portion of the tax, which is 12.4%, is capped at $118.500, however unlike wage earners, there players are allowed to deduct half of the self-employment tax, which would be the equivalent of an employer’s contribution. DFS players are allowed to follow the same rules when it comes to deducting their “ordinary and necessary” expenses as hobby players. If DFS is considered a non-gambling activity, just like amateur players, professionals are allowed to deduct gaming losses and expenses; however, while the amateurs are only allowed to deduct the losses from their net DFS profits, the professional players have no limitations to the DFS losses and expenses; they can use their DFS losses to offset another income source from the same tax year. If however, DFS is considered to be gambling, the professional player may only deduct gaming losses from the net DFS profits; there are however, no limitations of “ordinary and necessary” expenses. Not having a defined standing as a gambling or non-gambling activity, fantasy sports have created a lot of confusion; while this causes a great deal of inconvenience for players trying to file the correct taxes, it may be even more troublesome for the DFS site operators. 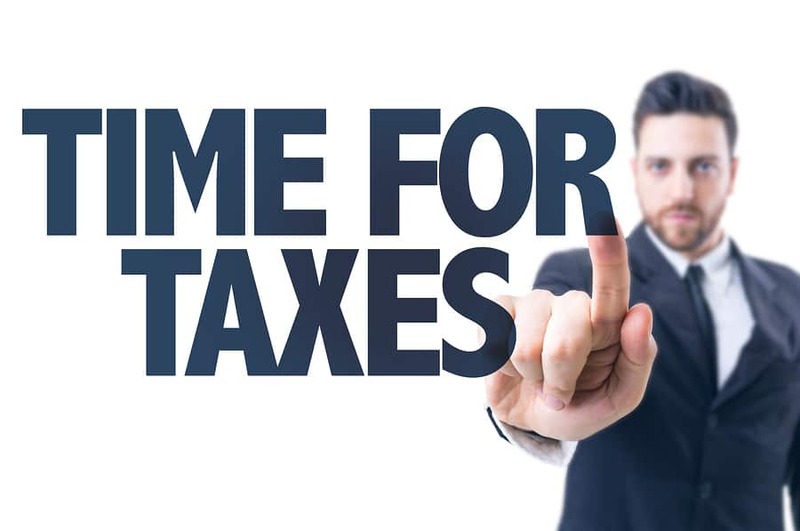 The Internal Revenue Code imposes an excise tax on “wagers, which is a tax payable by a vendor for the sale of an item or activity.” Establishments which are authorised to operate under the state law have to only pay a tax of 0.25% of the total wager amount. However all other establishments are issued a 2.0% tax on any wager collected. Taking a closer look at the three alternate definitions of wager may explain how DFS may be affected by this excise tax better. Any wager with respect to a sports event (all type of sports event) or a contest (any contest that involves skill or effort) placed with a person engaged in the business of accepting such wagers. DFS formats that allow customers to build a line-up of players and use them in one match alone fit into this definition of wager. Any wager placed in a wagering pool (where all the money bet on a particular event is aggregated and paid out to the winner/s according to pre-set conditions) with respect to a sports event or a contest, if such pool is conducted for profit. DFS formats where they allow customers to use their line-up in a multitude of games may fit the second definition. Any wager placed in a lottery (a scheme where prizes are distributed among people who have paid for a chance to win them) conducted for profit. The winners in lotteries are determined purely by chance and a typical DFS game does not fit that description, therefore the third definition is unsuitable for fantasy sports. IRS has not issued any formal guidelines surround taxation of DFS operators, however, if they choose to audit any of the DFS companies, they would be well within their rights to demand the federal excise tax, even at the higher rate of 2% in states where no clear regulatory guidelines have been published for daily fantasy sports. If DFS is considered to be non-gambling the wining are reported on Form 1099-MISC, however, when DFS is thought to be gambling activity, Form W-2G – Certain Gambling Winnings, is used. Tax law requires DFS operators to withhold payment of wagers and wagering pools with winnings in excess of $5,000. Some states such as Connecticut, Illinois and Michigan have their own gambling withholding rules that states gambling winnings have to be withheld from residents of these states. DFS companies can be held responsible for the tax amount that should have been withheld; they may also be penalised if the W-2G forms are not issued on time. Given the transitioning state of the Fantasy Sports industry, both the players and the operator needs to be mindful of the impact each piece of legislation may have on tax rules. A well structures tax policy for daily fantasy sports participants and operators would alleviate much of this confusion for good.